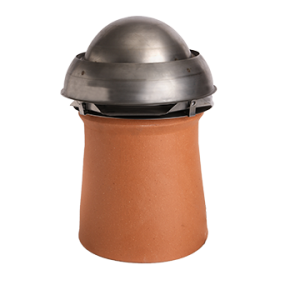 Have you ever looked at a chimney cowl and thought of it being anything other than a piece of metal that just sits on top of the chimney? A piece of steel that just isn’t as important as the stove or installation? Perhaps it’s an after thought that you are happy to take because it comes in an installation package deal. Ever thought about the true meaning and purpose it has? How about looking at it from another angle, a point of view that may make you think differently when it comes to your next chimney cowl decision. Another factor to bear in mind is if you live in areas surrounded by hills, trees, or next to the coastline then a chimney cowl can also protect against issues with downdraught, as explained here. Thinking a little differently than before? Well, all of this can help ensure a prolonged life for your new stove and the liner or twin wall system. Without a cowl on top, or a cowl that isn’t fit for purpose, the stove that you have spent all your time researching and waiting for will be a sitting duck waiting for rust and other issues to fall upon it. We would always recommend stainless steel material and a cowl with no moving parts for added longevity. Is it time you asked the question, how good is my first line of defence?